People who love riding bikes can feel very stressed when they need to transport their two-wheeled vehicles. This is especially true if you have to bring along multiple bikes all at the same time. This is when having the best 4-bike car rack can be very beneficial. Having such a device would make transporting your bikes a much easier task. In this article, we’ll explore the 4-bike car racks. When choosing a product, there are many things to consider. From compatibility to the price of the rack, you need to think of all these things to ensure that you find the best rack to suit your needs. Read on to learn more about choosing the best rack along with a review of the best products available on the market now. What important factors should you consider when 4-bike car racks? The ability of a bike rack to transport several bikes at a time and different types of bikes is important. For families or those who own multiple bikes, a 4-bike car rack should serve its purpose. Check what types of bikes the rack can carry as well as if the rack can accommodate all the bikes that you own. This is one of the most important features to look out for. You don’t want to strap your bikes on a rack only to find out that they’re already gone once you’ve reached your destination. Bike racks offer different security levels and if you want to keep your bikes safe, go for a rack with superior security features. Finally, also keep your budget in mind. Think of the bike rack as an investment and set a budget for it. This will help you narrow down your options. The best 4-bike car racks come in a wide range of prices, and there’s one for any budget. Why we like it: The features of this rack makes it one of the best 4-bike car racks on the market now. For one, it comes with a locking hitch insert which can fit 2-inch receiver hitches. Installing the hitch is a quick and easy process. The hitch of the Allen Sports DELUXE HITCH MOUNTED BIKE RACK comes with 2 keys, and it tightens and keeps the rack secure. One of the best features of this product is its ease of use. It has a rugged design, and you can use it to transport up to 4 bikes safely. It’s perfect for when you want to go camping, on a road trip, and on other types of outdoor adventures. It features individual cradles with a tie-down design which protect and secure your bikes. 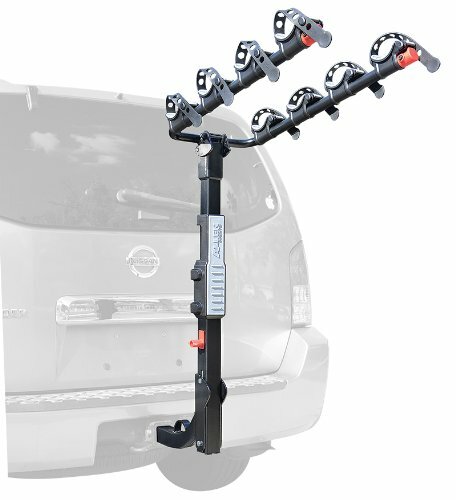 The Allen Sports DELUXE HITCH MOUNTED BIKE RACK also incorporates carry arms which you can fold or drop out of the way when you’re not using them. You can also tilt the rack back conveniently if you need to access your vehicle. This is an excellent rack as it can accommodate various types of bike frame designs. This option comes highly recommended for those who need to transport multiple bikes. The Allen Sports DELUXE HITCH MOUNTED BIKE RACK is a compact model which can hold up to 4 bikes thanks to its innovative, hitch-mounted design. This rack comes with superb functionalities which modern racks typically have. The tie-down system of this rack allows it to accommodate more types of bike frames. Aside from the stylish, modern look of the Allen Sports DELUXE HITCH MOUNTED BIKE RACK, it also boasts some superb features. The locking hitch insert allows you to attach the rack securely to the receiver hitch without wobbling. It has carry arms which can fold and a tie down-system for individual bikes. Also, its main mast comes with a tilt -away feature so you can still access your vehicle while the rack is on it. Its hitch has a quick-install feature which comes with two keys. The arms of the rack fold out of the way, and you can even tilt it when needed. It comes with individual tie-downs to protect and secure your bicycles. This rack can accommodate various designs of bicycle frames. The bars might bend if the bikes are too heavy. Why we like it: One excellent feature of this rack is that adjusting it is a simple and easy process. Also, installing it is a breeze. The Hollywood Racks HR1400 Sport Rider SE 4-Bike Rack is also safe as it won’t cause damage to your vehicle. It’s a platform-style rack that’s heavy-duty and comes pre-assembled. It has padded clamps, wheel holders, and it can hold up to 4 bikes. As aforementioned, the ease of use is one of the best features of this rack. Right out of the box, you can install it on your vehicle easily. The initial setup gives the rack a capacity to hold 2 bikes. But the rack also includes an add-on kit so you can add two more bikes to the rack. It’s also easy to assemble the add-on, just slide it onto the base of the unit then tighten the lever. The Hollywood Racks HR1400 Sport Rider SE 4-Bike Rack features a tightening system for the hitch which doesn’t require tools and which won’t wobble. When you’re not using the rack, it folds flat. It also tilts down so you can gain easy access to your vehicle as needed. You can easily convert the Hollywood Racks HR1400 Sport Rider SE 4-Bike Rack from a 2-bike rack to one which can carry 4 bikes. This rack has superior versatility as it can fit most bike types such as road bikes, mountain bikes, kids bikes, and more. You can even modify the rack if you need it to hold an adult tricycle or an adult bike with a tricycle adapter kit. This is a platform-style rack made of durable materials that’s suitable for a heavy-duty application. It has a unique 2 + 2 system so you can easily convert it from a 2-bike rack to a 4-bike one. The rack features top universal clamps with padding and wheel holders which are fully adjustable. Once you’ve installed the rack, all you can to do is drop your bikes on the wheel holders and clamp them down. It comes pre-assembled, and it’s easy to adjust. This is a sturdy platform-style rack which can hold up to 4 bikes. The rack feature padded clamps and wheel holders to keep your bikes secure. It has a hitch system with a security cable and a locking pin. You need to secure the straps well to keep your bikes in place. Why we like it: This rack accommodates all kinds of bikes with dual-arms on vehicles which have either a 2-inch or a 1.25-inch hitch receiver. It’s made with a handy and sturdy construction, and it’s able to handle up to 4 bikes. 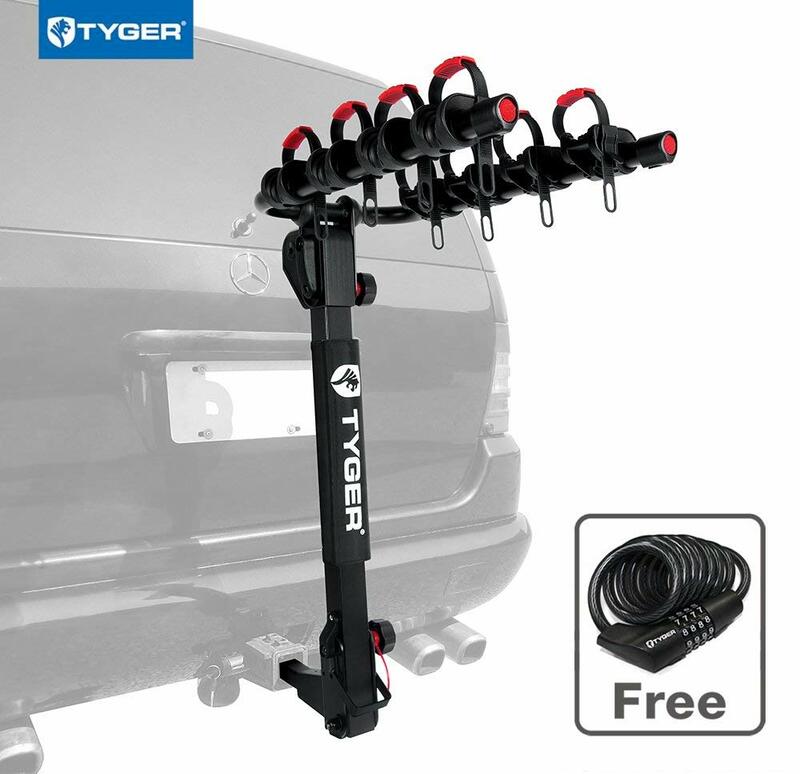 The Tyger Auto TG-RK4B102B Deluxe 4-Bike Carrier Rack features a black-colored e-coating which makes it more durable and resistant to rust. Because the Tyger Auto TG-RK4B102B Deluxe 4-Bike Carrier Rack fits all types of bikes with dual-arms, this makes it highly versatile. It includes a bike cable, a lock and safety strap, and a lock and hitch pin. It also offers convenient access to your vehicle thanks to its tilt-down feature and carry arms which you can fold. This rack features well-designed points for attachment to keep your bikes secure. It also attaches with a straightforward but effective hitch adaptor which works with most hitch receivers which are 2-inches or 1.25-inches in size. The Tyger Auto TG-RK4B102B Deluxe 4-Bike Carrier Rack has a generous carrying capacity as it can handle up to 4 bikes. Other great features of this rack that adds to its security are its bar cushion and its soft cradles. These will keep your bikes individually secure and help protect their frames. The rack itself is very easy to install, and it even comes with the instructions to help you out. With all these great features, this rack still comes at a very affordable price. Even with its reasonable price tag, you would still get a superb 4-bike car rack with handy features and durable construction. 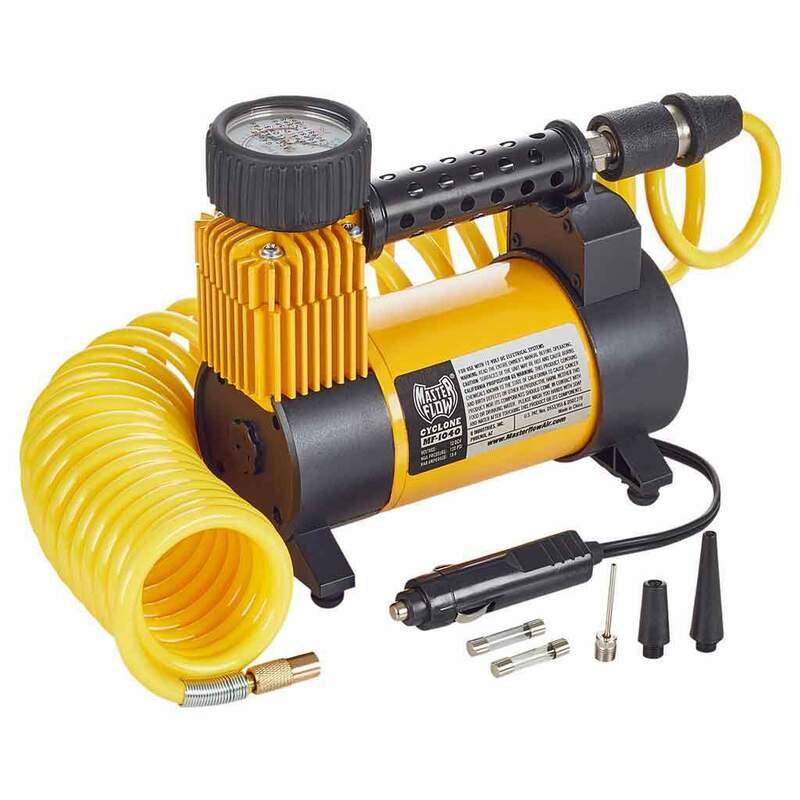 Since it’s also easy to install and use, it’s perfect for beginners and for DIY enthusiasts. It’s made with sturdy construction, and it’s strong enough to carry up to 4 bikes. The bar cushion and soft cradles will keep your bikes secure and protected. It allows for convenient vehicle access thanks to the foldable carry arms and the tilt down feature. You can easily install this rack in a matter of minutes with the help of the DIY instruction manual. Some customers don’t appreciate that the straps of this rack are of plastic. Why we like it: Using this rack is the easiest and fastest way for you to load your bikes when you need to travel. It has an arm pivot feature that’s durable and allows for adjustability from side to side. This feature helps lower the risk of the bikes bumping into one another. The Yakima Products Hold Up Tray Style Bike Rack is the best road trip companion for bike riders and their families. With the Yakima Products Hold Up Tray Style Bike Rack, you can keep your bikes secure and protected. It features a StrongArm wheel hook which pivots and secures your bikes without getting into contact with the frame. 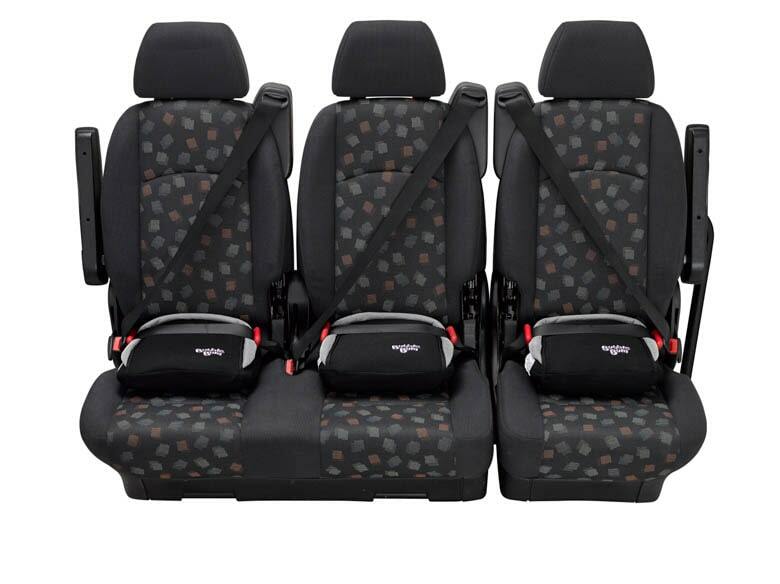 This feature even allows for side-to-side adjustability which reduces interference. It’s a simple, straightforward rack that’s extremely effective. 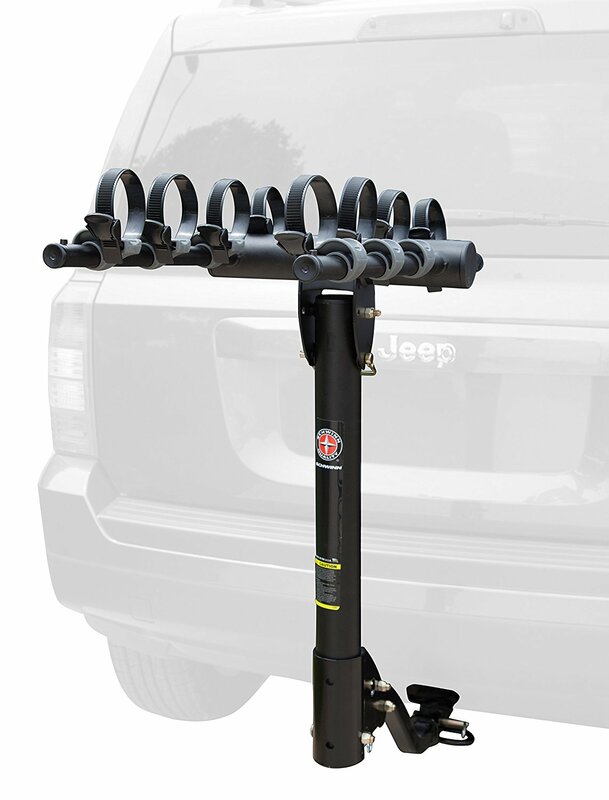 The StrongArm design also allows you to quickly load your bike on the rack no matter what type of model you have. It can accommodate road bikes, disc brakes, full-suspension bikes, and more. It has a superb load capacity as it can handle up to 4 bikes at once after you attach the Hold Up +2 feature. We’ve talked about the StrongArm design of this bike. This feature secures your bike at its wheels thus, protecting its carbon frames and its paint job. It works with virtually any type of tires, and it even comes with SKS locks for bikes and for the rack. With this rack, you can adjust the space between the bikes to prevent them from getting into contact with each other while you travel. 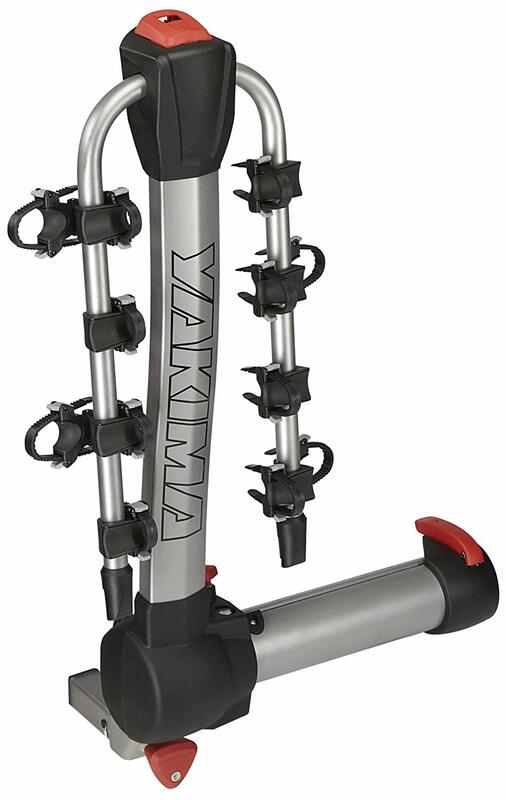 The Yakima Products Hold Up Tray Style Bike Rack has a tray-style design making it comfortable and easy to use. It has a clever locking mechanism which prevents the bikes from bumping into the frame. This makes it the perfect rack for carrying bikes with custom paintwork. It’s a practical model that can accommodate different types of bikes. It has a StrongArm design which allows you to load your bikes quickly. With this rack, the bikes won’t come into contact with the bike frame to avoid damages. It’s strong enough to carry up to 60 lbs per bike. It can carry up to 2 bikes, but if you attach the Hold Up, it can accommodate up to 4 bikes. Why we like it: This 4-bike car rack that swings out of the way even with your bikes loaded if you need to access your vehicle. The Yakima SwingDaddy has a special type of assembly with a single bolt which makes it easy to install and use. It also features a SpeedKnob that’s tool-free which you can use to quickly tighten and lock the rack to your vehicle. The Yakima SwingDaddy is one of the best 4-bike car racks available on the market now because of its innovative design and the fact that it will keep your bikes safe. It’s perfect for those who love traveling with their bikes and for anyone who treats their bikes with the utmost care. It’s a premium rack that offers ultimate protection for your bikes along with superior convenience. The rack features cradles with an anti-sway feature to prevent the bikes from coming into contact with one another. It also comes with arm padding to keep your bikes protected while they’re loaded on the rack. Also, it features a TriggerFinger technology which allows you to fold down the arms with a mere press of a button. The integrated security of this model secures the rack to your vehicle and secures your bikes to the rack. 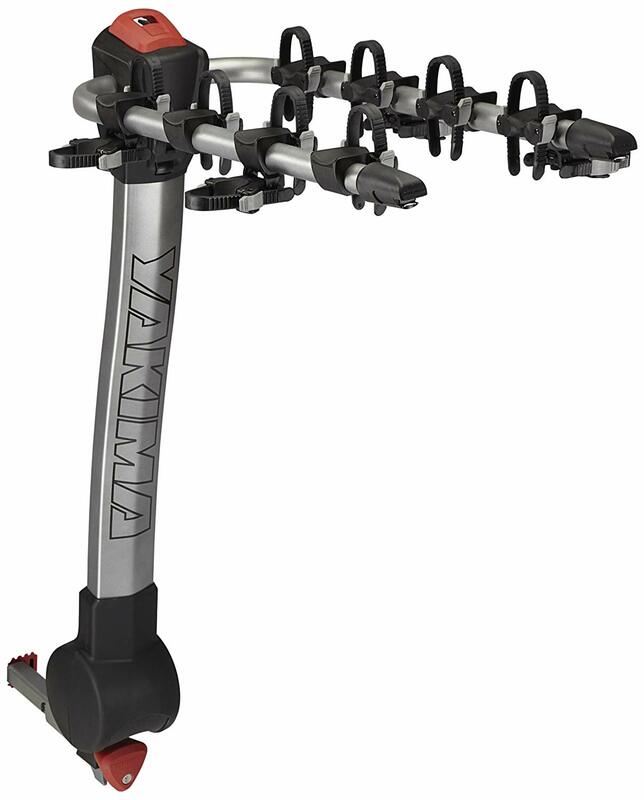 What makes the Yakima SwingDaddy so popular is all its handy features. With this rack, you can easily access your vehicle even if it’s fully loaded with all your bikes. It has ZipStrips with a zero-hassle feature which you can use to secure your bikes to the rack. It also has a SpeedKnob feature which allows for an easy installation without the need for tools. 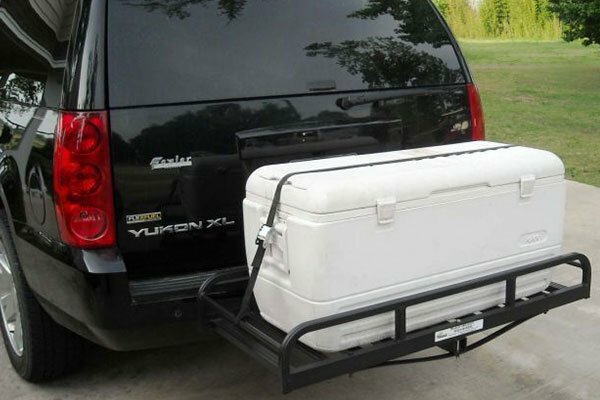 Attaching this rack to your vehicle’s hitch is a breeze, and since the arm has hinges, you can easily swing it away when needed. You can load up to 4 bikes on this rack and keep them protected thanks to the padding on the arms. The Yakima SwingDaddy offers superior versatility since it can accommodate all wheel sizes. The rack can swing away even when your bikes are on it so you can access your vehicle easily. It’s easy to install thanks to the single-bolt assembly. The ZipStrips will secure your bikes to the rack while the cradles have an anti-sway feature to keep your bikes protected. It comes with an exclusive warranty that lasts for a lifetime. It isn’t compatible with Jeep Wrangler models. Why we like it: This rack has a unique AutoAttach installation that’s tool-free making it very easy to attach and remove it from your vehicle. The Thule T2 Pro XT 2 Bike Rack has a hitchswitch lever which tilts the rack up easily when you’re not using it. You can also tilt it down when you need to access the rear of your vehicle. It even has a ratcheting arm with a free frame feature which secures your bike to the rack. This rack is very quick to set up, easy to use, and it’s dependably secure. The Thule T2 Pro XT 2 Bike Rack holds 2 bikes comfortably, but it can also hold up to 4 bikes. After installing the rack to your vehicle, you can lock your bikes into it securely with the AutoAttach system. It even comes with a lock knob and a cable lock so you can load your bikes on the rack and keep them secure. When you’re not using the rack, you can easily fold it towards your vehicle. It has a load capacity of 120 lbs which means it can carry 2 bikes which weigh up to 60 lbs or 4 bikes which weigh up to 30 lbs each. With this rack, you won’t have to worry about bike interference as long as you adjust their placement upon loading. When you travel with your bikes, you’d like to keep them safe, and you can ensure this with the Thule T2 Pro XT 2 Bike Rack. This rack keeps bikes secure while protecting them from bumping into each other. This is one of the newer models from the brand, and it has improvements in terms of the lateral adjustability and the tray spacing compared to the previous models. When it comes to design, this rack excels. It has ratcheting wheel clamp arms which you can adjust easily with just one hand. The Thule T2 Pro XT 2 Bike Rack has a low height for loading making it more convenient. With the add-on feature, you can load up to 4 bikes on this rack. It can even accommodate fat bikes which have 5-inch tires. The hitchswitch lever tilts up the rack easily when you need to. It has a ratcheting arm with a free-frame which keeps the bikes secure sans the frame contact. The rack is suitable for 2 bikes, but you can add to it so it can accommodate up to 4 bikes. It comes with an integrated lock knob and cable lock you use to secure your bikes to the rack. It’s not suitable for recumbent bicycles. Why we like it: This rack features carry arms which snap right into place during installation. This means that you can attach it to your vehicle quickly and easily right out of the box. 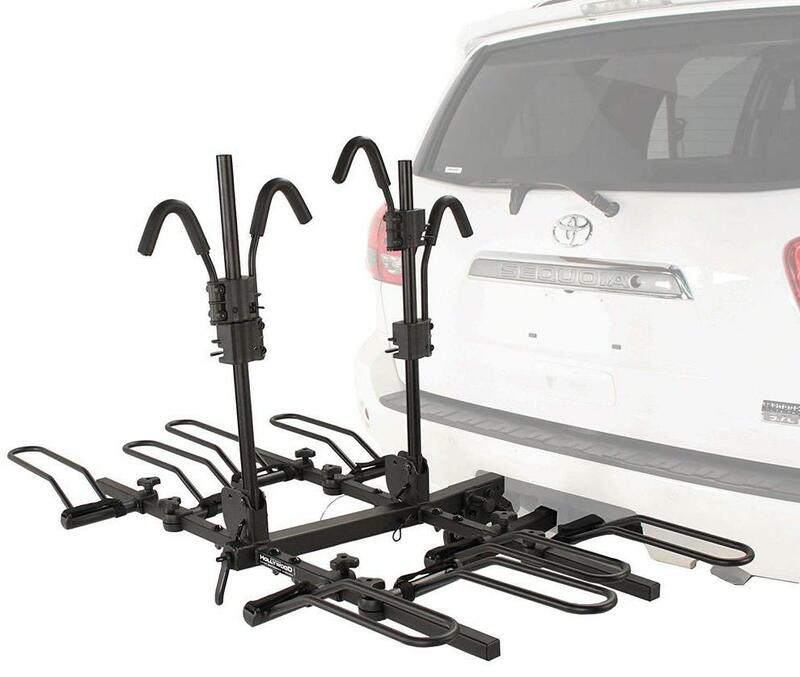 The Allen Sports PREMIER HITCH MOUNTED BIKE RACK has tie-down cradles with a dual-compound feature along with quick-set straps. You can use these to protect and secure your bikes to the rack individually. 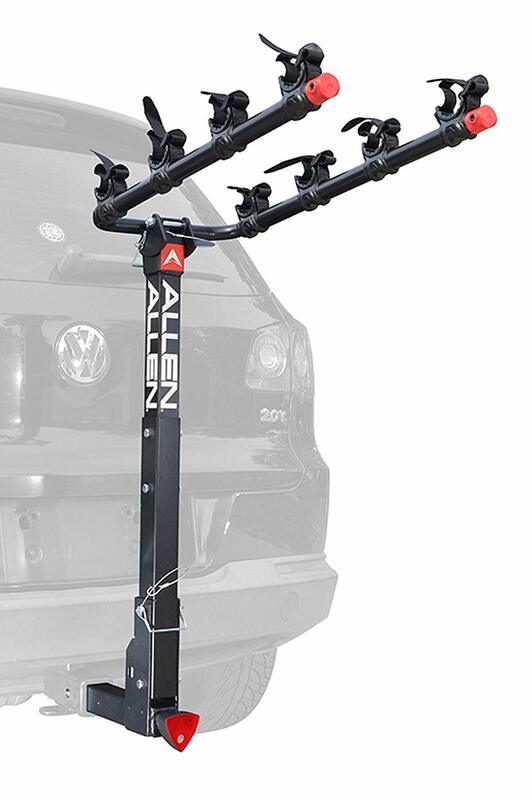 The Allen Sports PREMIER HITCH MOUNTED BIKE RACK has a rugged design, it’s full featured, and perfect for any outdoor adventure. The rack has a superior load capacity as it can handle up to 4 bikes. This rack fits into most types of standard Class III and Class IV 2-inch receiver hitches. It features a quick and easy assembly, carry arms which you can fold, quick-lift access, and a Spine Shield. Installing this rack is a breeze since you only need 3 bolts to do so. It has an internal release feature which allows you to tilt the rack away and lift the gate easily when you need to access your vehicle. It even comes with a lifetime warranty from the manufacturer of the tool. The bolts of this rack have a no-wobble feature which virtually eliminates any movement inside of the hitch. The Allen Sports PREMIER HITCH MOUNTED BIKE RACK features quick and secure straps along with dual-compound cradles which are highly durable and UV resistant. With these straps, you can easily secure your bikes to the rack. The cradle beds of the rack are ultra-soft to keep your bikes protected. This rack comes with a patented design for the arms allowing you to fold them effortlessly. Also, you can drop out the arms of the Allen Sports PREMIER HITCH MOUNTED BIKE RACK when you aren’t using them just by squeezing the rack’s release buttons. The rack even comes with a rugged mechanism which keeps the whole unit in place while you travel. It’s easy to use, and it can carry up 2, 3, or even 4 bicycles. It has a tilt-away release on the inside which allows you to lift the gate easily. The bolts have a no-wobble feature to prevent unnecessary movement of the rack. The upright bar tends to sway while traveling. Why we like it: Here’s another rack that’s easy to install and use. Thanks to the locking SpeedKnob feature of the Yakima Products RidgeBack Hitch Bike Rack, you won’t need any tools to lock the rack to your car. The rack features an UpperHand lever which tilts down the rack for when you need to access your vehicle or fold it flat for when you need to store it. The rack fits most 1.25-inch and 2-inch hitch receivers, and it can carry up to 4 bikes. This rack comes with a hitch-mounted design, and it has a carrying arm that’s extended to which you attack the bike tubes of your bikes. 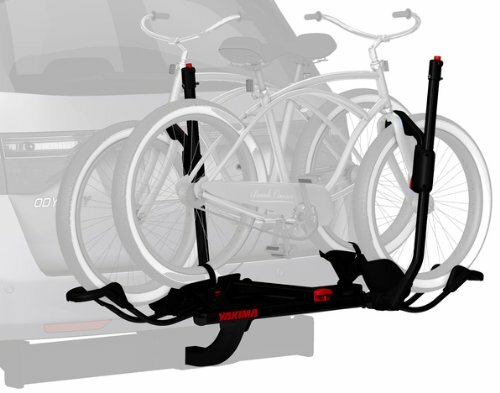 One excellent feature of the Yakima Products RidgeBack Hitch Bike Rack is its easy installation. The simple and straightforward SpeedKnob style provides attachment points which make it a lot easier to install on your vehicle. This particular model can carry up to 4 bikes. But it’s also available in various models which can carry 2, 3, 4 or even 5 bikes depending on your needs. The superior carrying capacity of the Yakima Products RidgeBack Hitch Bike Rack makes it the perfect rack for families who bring their bikes along while they travel. As aforementioned, the SpeedKnob feature of this rack makes it very convenient. The Yakima Products RidgeBack Hitch Bike Rack also has other handy features such as the UpperHand lever and the ZipStrips. The former allows you to tilt down the rack or fold it flat when you’re not using it. The latter allows you to secure your bikes to the rack and keep them there while you’re on the road. This model even comes with an Anti-sway feature on its cradles which remove bike-to-bike contact while you travel. It fits most 1.25-inch and 2-inch hitch receivers making it very versatile. It even comes with a lifetime warranty from the manufacturer in case you’re not satisfied with the product. It’s easy to install thanks to the locking SpeedKnob that’s tool-free. You can use the UpperHand lever to tilt the rack down if you need to access your vehicle. You can use the ZipStrips to keep your bikes securely on the rack. It has a 2-inch and 1.25-inch hitch receiver, and it can carry up to 4 bikes. The rack may bend if the bikes it’s carrying are too heavy. Why we like it: This rack has a classic design and modern features. The Thule T2 Classic Bike Rack features a HitchSwitch lever which you can use to fold the rack vertically when you’re not using it. The lever also allows you to tilt the rack away if you need to access the back of your vehicle. The rack comes with a ratcheting arm which quickly secures your bikes without coming into contact with the frame. The Thule T2 Classic Bike Rack has a special lever which you can use to fold or tilt the rack as needed. It has a sleek design and a well-made construction which is why we consider it as one of the best 4-bike car racks on the market now. The rack also comes with bike mounts which are fully-adjustable and which eliminate interference between the bikes. As the name of the product implies, this rack has a classic design. It’s been around for a long time, and it’s still around because a lot of people find it very effective. The Thule T2 Classic Bike Rack has a hitch-mount style with bike mounts which you can adjust as much as you want. Since it first came out, it hasn’t seen a lot of updates because it’s already a superb model. This rack can accommodate bikes with 20-inch to 29-inch wheels and tires which are up to 5-inches in size without the adapters. It’s the perfect rack to choose if you own a bike with carbon frames, a mountain bike, a downhill bike or a fat bike. It even comes with an STL or a snugtite lock so you can lock the rack to your vehicle’s receiver hitch. This is a high-quality product which comes at a reasonable price. Despite its classic design, it still has a lot of functional features. The Thule T2 Classic Bike Rack is of durable materials allowing you to keep on using it for years to come. It’s a well-designed rack which won’t make you break the bank when you purchase it. It’s easy to fold whenever you need to access your vehicle. The ratcheting arm is frame-free, so you can secure your bikes quickly. The bike mount is fully adjustable to eliminate interference between the bikes. It includes an STL or a snugtite lock so you can lock the rack to your vehicle’s receiver hitch. The plastic parts aren’t very durable. Why we like it: Finally, this 4-bike car rack fits most vehicles which have a 2-inch or 1.25-inch trailer hitch. It has a unique design which allows you to fold it away if you need to access the rear of your vehicle. The Schwinn 4-Bike Hitch Mount Rack even comes with folding arms which you can use to position the rack easily out of the way when you’re not using it. The Schwinn 4-Bike Hitch Mount Rack offers room for the bikes of your entire family. It also allows you to access your vehicle freely even after you’ve installed it. The rack has sturdy tie-downs along with a special cradle system which secures your bikes individually while protecting their cables. Also, it has arms that you can fold away while you’re not using it. This rack comes from a well-known and reputable brand in the cycling industry. It’s a superb product which can carry up to 4 bikes. The Schwinn 4-Bike Hitch Mount Rack has sturdy tubing that’s made of steel. It even comes with a powder coat finish which adds to the durability and the visual appeal. The Schwinn 4-Bike Hitch Mount Rack has a hitch-mounting design making it suitable for vehicles of different sizes. The design makes it compatible with 2-inch and 1.25-inch trailer hitches. Even when you’re not on the road, you can leave the rack on your vehicle. Then all you have to do is fold the arms out of the way. Although last on our list, this model is still one of the best 4-bike car racks on the market. It features bike hold-downs which keep the bikes separate from each other while securely holding them in place. It takes just a couple of minutes to set up and install the rack. Using it is also a breeze which is why it’s such a popular product. It has a fold-away design so you can access the rear of your vehicle easily. It has folding arms which you can move out of the way when not in use. The bike hold-down feature firmly secures the bikes and separates them from one another. It’s easy to set-up and install this rack, all you need is a couple of minutes. The straps aren’t as durable as the other parts of the rack. These are the best 4-bike car racks available on the market now. Any one of these would prove to be an excellent buy. All you have to do now is to find which one would be the best for your own vehicle. If your bikes have slim tires, then you can easily mount them on most types of racks. But if you own a hybrid bike, a mountain bike or other types of bikes with thicker tires, then you need to choose the rack carefully. Make sure the rack will be able to accommodate your bikes so you can get the most out of it. The weight of your bikes is the next thing to consider. 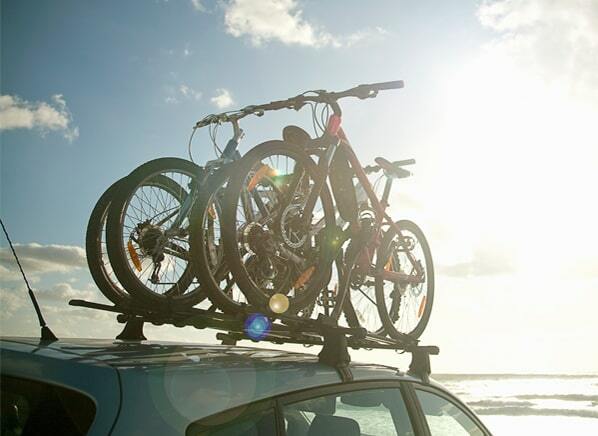 Generally, car racks come with a recommended weight maximum for each bike. If you’re planning to transport up to 4 bikes on the rack, choose one which can handle the total weight of all your bikes combined. Finally, the ease of use is also an important factor. If you own one vehicle, then you would only have to assemble and install the rack on it once. But if you own several vehicles and you plan to move the rack from one vehicle to another, then you have to choose one which is easy to set up and take off. Also, if you travel frequently, make sure that mounting and dismounting the bikes are easy to do so you won’t have to spend too much time just trying to load and unload your bikes each time. Roof racks are perfect for those who own hatchbacks or sedans. This type is also suitable for SUVs but remember that the rack will increase the overall height of the vehicle. One benefit of this type is that it gives you free access to the trunk of your vehicle. Also, it can help reduce the gas mileage of your vehicle because of its design. This type of rack is more affordable, portable, and easy to store. It’s easy to install and loading the bikes becomes an easier task too. A boot rack doesn’t require any fittings, and it can improve the fuel economy of your vehicle. One consideration to keep in mind for this type of rack is that you have to be very careful when reversing. This type of rack has a low height making it easier to mount and dismount your bikes. It doesn’t pose as much of a risk to the paintwork of the vehicle, and it’s usually durable and strong. However, such rack may be more expensive, and you might need a towbar to install it on your vehicle. This type is a popular choice among sedan owners. They’re very versatile, and it’s easy to mount bikes on them. But with such a rack, you may have to remove it first so you can gain access to the trunk of your vehicle. Also, assembling this type is a bit more challenging. Finally, this type of rack is ideal for trucks and SUVs. Just pay close attention to the opening of the hitch. A smaller opening will make it compatible with smaller SUVs and cars while a bigger opening will make it compatible with trucks and bigger SUVs. If you want a rack which will still allow you to access the trunk of your vehicle, make sure it has a tilt-away feature. So, all you biking enthusiasts, no matter which product you’re planning to choose, you have to make sure that it comes with all the features you need. For one, the mount of the rack needs to have compatibility with your own vehicle. Also, rack’s frame compatibility should match your bike’s design. The load capacity is important too especially if you plan to load several bikes on the rack.